These terms were last updated on the 20th of November 2018. 1.1 GamePoint International B.V. is a limited liability company, duly incorporated and existing under the laws of The Netherlands, with its principal office at (2586 BK) The Hague, at the Gevers Deynootweg 93G and is registered with the trade register of the Chamber of Commerce under file number: 27280781. GamePoint (“we”, “us” or “our”) is an online entertainment network with game specific websites, including www.gamepoint.com in relation to our website at www.gamepoint.com (“Website”), games that are made available via our Website (“Game” or “Games”), and any related services (together with the Website and Games, the “Services”). These terms apply to all and any use of the (content of the) Website(s) and Services. You (“you” or “your”) agree that by accessing and/or using our Services, you are agreeing to these terms and our Privacy Notice (see paragraph 10 below). 1.2 You agree that you are at least 18 years of age. 1.3 You can access these terms at any time at www.gamepoint.com/help/. We can make changes to these terms at any time in accordance with paragraph 14 below and your continued use of our Services shall confirm your acceptance of the updated terms. 2.1 The specific game rules and guidelines for each Game can be found underneath the Game itself or in our FAQ section. Such rules, scoring rules, controls and guidelines form part of these terms and you agree that you shall comply with them in respect of each individual Game which you choose to access and/or play. 2.2 The charge for any individual item you can purchase via our games and Website shall be as stated on our Website at the time you place the order, except in the case of obvious error. The charge includes all sales taxes and other charges. Depending on which bank and/or payment processing partner you use, additional charges may be issued; we have no control over this and accept no liability in relation to the same. If you are unsure whether you will be subject to such additional charges then you should check with your bank or the payment processing partner, before making a purchase via our Website. We accept payment via different payment processing partners, which are listed when you open our deposit screen and can differ per country. Our payment processing partners may have their own terms and conditions and you should ensure you agree with these prior to making any payment. If your transaction with our payment processing partners is not successful, then your purchase will not be fulfilled. Upon the completion of a successful payment transaction then your purchase will be fulfilled to you as soon as possible – we aim to fulfill your order immediately at the point of purchase. 2.3 You are responsible for the internet connection and/or mobile charges that you may incur for using our Services. You should ask your mobile operator or internet service provider if you are unsure what these charges will be, before you play. because we have altered the services we provide. 2.5 There may also be times when our Services or any part of our Services is not available for technical or maintenance related reasons, whether on a scheduled or unscheduled basis. 3.1 You agree that you shall take all steps necessary to protect your log in details and keep them secret. You agree that you shall not give your log in details to anyone else or allow anyone else to use your log in details or account. In these terms, references to “login details” or “account” include your log in details and account for any social network or platform that you may allow our Services to interact with. 3.2 If you fail to keep your login details secret, or if you share your login details or account with someone else (whether intentionally or unintentionally), you accept full responsibility for the consequences of this (including any unauthorized purchases) and agree to fully compensate us for any losses or harm that may result. 3.3 We will not be responsible to you for any loss that you suffer because of an unauthorized person accessing your account and using our Services and we accept no responsibility for any losses or harm resulting from its unauthorized use, whether fraudulently or otherwise. 3.4 We reserve the right to delete your account if no activity is conducted by you in relation to the account for 180 or more days. In such event, you will no longer be able to access and/or use any Virtual Money and/or Virtual Goods (as defined below) associated with that account and no refund will be offered to you in relation to the same. 3.5 You understand that if you delete your account, or if we delete your account in accordance with these terms, you may lose access to any data previously associated with your account (including, without limitation, the level or score you have reached in our Games and any Virtual Money or Virtual Goods associated with your account). 3.6 You hereby declare that all information provided is truthful. 4.1 Our Games may include virtual currencies such as Coins, XP, Bingo Cards, Diamonds and points (“Virtual Money”) or items or services for use with our Games (“Virtual Goods”). You can buy Virtual Money or Virtual Goods from us for real money if you are at least 18 years old. You agree that Virtual Money and Virtual Goods can never be exchanged for real money, real goods or real services from us or anyone else. You also agree that you will only obtain Virtual Money and/or Virtual Goods from us, and not from any third party. 4.2 You do not own Virtual Goods or Virtual Money but instead you purchase a limited personal revocable license to use them – any balance of Virtual Goods or Virtual Money does not reflect any stored value. 4.3 You agree that all sales by us to you of Virtual Money and Virtual Goods are final and that we will not refund any transaction once it has been made. If you live in the European Union, you have certain rights to withdraw from distance purchases. However, please note that when you purchase a license to use Virtual Goods or Virtual Money from us, the performance of our services begins promptly once your purchase is complete and therefore your right of withdrawal is lost at this point. Therefore, from the moment Virtual Money and/or Virtual Goods have been acquired, no refund or withdrawal will be accepted. You understand that Virtual Money and Virtual Goods are perishable goods. 4.4 We reserve the right to control, regulate, change or remove any Virtual Money or Virtual Goods without any liability to you. 4.5 Without limiting paragraph 3.5, if we suspend or terminate your account in accordance with article 7 of these terms you will lose any Virtual Money and Virtual Goods that you may have, and we will not compensate you for this loss or make any refund to you. 5.1 You must comply with the laws that apply to you in the location that you access our Services from. If any laws applicable to you restrict or prohibit you from using our Services, you must comply with those legal restrictions or, if applicable, stop accessing and/or using our Services. 5.2 You promise that all the information you provide to us on accessing and/or accessing our Services is and shall remain true, accurate and complete always. 5.3 Information, data, software, sound, photographs, graphics, video, tags, chat (public or private) or other materials may be sent, uploaded, communicated, transmitted or otherwise made available via our Services by you or another user (“Content”). You understand and agree that all Content that you may have sent when using our Services, whether publicly posted or privately sent, is the sole responsibility of the person that sent the Content. This means that you, not us, are entirely responsible for all Content that you may upload, communicate, transmit or otherwise make available via our Services. which contains software viruses, or any other computer code, files or programs designed to interrupt, destroy or limit the functionality of any computer software or hardware or telecommunications equipment. attempt to decompile, reverse engineer, disassemble or hack any of our Services, or to defeat or overcome any of our encryption technologies or security measures or data transmitted, processed or stored by us. You will do your best to maintain a positive atmosphere. 5.6 We do not control Content posted on our Services by other people and therefore we do not guarantee the accuracy, integrity or quality of that Content. You understand that when using our Services, you may be exposed to Content that you may consider offensive, indecent or objectionable. Under no circumstances will we be liable in any way for any Content, including, but not limited to, any errors or omissions in any Content, or any losses or harm of any kind resulting from the use of any Content posted, emailed, transmitted or otherwise made available via our Services. 5.7 We have the right to remove uploaded Content from our Services if we decide in our sole discretion that it results in or from a breach of any part of these terms, or that it may bring us or our Services into disrepute. However, you acknowledge that we do not actively monitor Content that is contributed by people that use our Services and we make no undertaking to do so. 5.8 You are solely responsible for your interactions with other users of our Services. 6.1 All of our Games allow you to play against an opponent or to play socially with other users. You may be able to (i) choose to play against another user or (ii) play against or play socially with another player on a platform or social network. 6.2 By accessing and/or playing those of our Games which allow you to play against an opponent or to play socially, you agree to your display name, profile picture (avatar), scores, and other related details being displayed to other users. 7.1 We reserve the right to suspend or terminate your access to our Services (including by deleting your account) if we reasonably believe that you are in material breach of these terms (including by repeated minor breaches). Without limitation, any breaches of paragraphs 5.4 or 5.5 are likely to be considered material breaches. 7.2 You agree to compensate us, according to law, for all losses, harm, claims and expenses that may arise from any breach of these terms by you. 7.3 GamePoint reserves the right to terminate your access to our Websites and Services. 9.1 You acknowledge that all copyright, trademarks, and other intellectual property rights in and relating to our Services (other than Content which is contributed and owned by players) is owned by or licensed to us. 9.2 Whilst you are in compliance with these terms, we grant you a non-exclusive, non-transferable, personal, revocable limited license to access and use our Services (but not the related object and source code) for your own personal private use, in each case provided that such use is in accordance with these terms. You agree not to use our Services for anything else. 9.3 It is prohibited to copy, distribute, make available to the public or create any derivative work from our Services or any part of our Services unless we have first agreed to this in writing. 9.4 In particular, and without limiting the application of paragraph 9.3, you must not make available any cheats or technological measures designed to control access to, or elements of, our Services, including providing access to any Virtual Currency and/or Virtual Goods, whether on a free of charge basis or otherwise. agree that we have no obligation to monitor or protect your rights in any Content that you may submit to us, but you do give us the right to enforce your rights in that Content if we want to, including but not limited to taking legal action (at our cost) on your behalf. a physical or electronic signature of the person authorized to act on behalf of the owner of the exclusive right that has allegedly been infringed. 10.1 We will only collect, process, use and share your personal information in accordance with our Privacy Notice and as set out in these terms. By using our Services, you give your consent to us collecting, processing, using and sharing your personal data in this way. If you do not agree to our Privacy Notice you should not access and/or use our Services. 10.2 Any personal information that we collect may also be subject to the privacy notice of any social network that you may agree to link our Services to. If you play our Games and you agree to allow them to interact with a social network you are giving us permission to use any information which that social network shares with us that will allow us to personally identify you. You are also granting us permission to help your contacts on that network find you so that you can play socially. This is intended to make our Games more enjoyable for you and others that play our Games on that social network. If you do not agree to these practices you should not allow our Games to interact with your social network. 11.1 We may link to third party websites or services from our Services. You understand that we make no promises regarding any content, goods or services provided by such third parties and we do not endorse the same. We are also not responsible to you in relation to any losses or harm caused by such third parties. Any charges you incur in relation to those third parties are your responsibility. You understand that when you provide data to such third parties you are providing it in accordance with their privacy notice (if any) and our own privacy notice does not apply in relation to that data. Your infringement on any third-party rights, including any intellectual property, publication, confidentiality, ownership or privacy rights. You shall cooperate fully in the defense against a claim as required by GamePoint. In the event of any matter in which indemnification is required of you, GamePoint reserves the right of exclusive defense of and control over the matter, and in no event shall you settle a claim without prior written consent from GamePoint. 13.1 We may wish to transfer all or a part of our rights or responsibilities under these terms to someone else without obtaining your consent. You agree that we may do so provided that the transfer does not significantly disadvantage you. You may not transfer any of the rights we give you under these terms unless we first agree to this in writing. 14.1 These terms set out the entire agreement between you and us concerning our Services (as defined in paragraph 1) and they replace all earlier agreements and understandings between you and us. If you also access or play our Games via other platforms (for example, by downloading our Games to play via an App Store, or by accessing our Games via any other third-party website or service, including, without limitation, Facebook) then different terms and conditions apply in respect of those Games. 15.1 You can find these terms at any time by visiting www.gamepoint.com/help. We reserve the right to update these terms from time to time by posting the updated version at that address. We may do so because we change the nature of our products or services, for technical or legal reasons, or because the needs of our business have changed. You agree that if you do not accept any amendment to our terms then you shall immediately stop accessing and/or using our Services. 16.1 If any part of these terms is held to be invalid or unenforceable under any applicable local laws or by an applicable court, that part shall be interpreted in a manner consistent with applicable law to reflect as nearly as possible our original intentions and the remainder of these terms shall remain valid and enforceable. 17.1 Our failure to exercise or enforce any of our rights under these terms does not waive our right to enforce such right. Any waiver of such rights shall only be effective if it is in writing and signed by us. 18.1 Most concerns can be solved quickly by contacting us through our Contact form. In the unlikely event that we cannot solve your concern and you wish to bring legal action against us these terms shall be governed by and construed in accordance with the laws of The Netherlands and any disputes will be subject to the exclusive jurisdiction of the competent court in The Hague, The Netherlands. 19.2 These terms were last updated on the 20th of November 2018. 19.3 All content within the website of GamePoint is property of GamePoint International B.V. (Chamber of Commerce Number 27280781, The Hague The Netherlands) and licensed under GamePoint B.V. All games are developed by GamePoint Development LLC UA and are property of GamePoint B.V. This Privacy Notice was last updated on the 20th of November 2018. 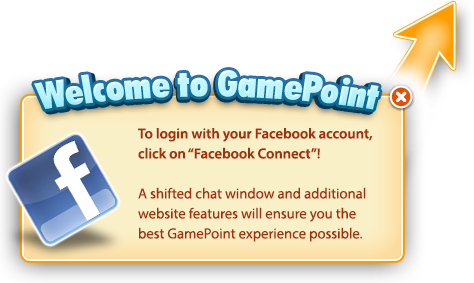 1.1 GamePoint makes great games that offer fun, social and entertainment experiences for everyone to enjoy. We at GamePoint respect the privacy of everyone who uses our games, website(s) and all related services which we may provide to you from time to time (“Services”). In this document we refer to GamePoint International B.V. as “GamePoint” “us”, “we” or “our” and we refer to you as “you” and “your”. 2.1 GamePoint International B.V. is a limited liability company, duly incorporated and existing under the laws of The Netherlands, with its principal office at Gevers Deynootweg 93G, (2586 BK) The Hague, The Netherlands and is registered with the trade register of the Chamber of Commerce under file number: 27280781. 3.2 GamePoint uses several data categories for personal information. Depending on the use of our Services, we may use personal information about you from one or more of the following unique data categories: Precise location coordinates, IP address, Name, Age, Gender, Address, Email address, Profile picture, Unique machine generated identifiers, Behavioral data, Online identifiers and Other identifiable data. 5.1 When you purchase Services on our website(s), we may collect certain payment information from you on behalf of our payment service providers. When you purchase items via our apps or third parties we do not collect, or store any payment information from you. 6. How will we use your Personal Information? as otherwise expressly set out in this Privacy Notice or as required by law. 7. Will we share your Personal Information with third parties? if there is a sale of the assets of GamePoint or corporate restructuring, or because of a change of control of GamePoint or one of its group companies, or in preparation of any of these events. Any third party to which GamePoint transfers of sells GamePoint’s assets will have the right to continue to use the personal and other information that you provide to us in the manner set out in this Privacy Notice. We will not sell or rent your information to any third party outside of these circumstances. 8.1 You may allow our Services to interact with a third party social network or platform, which will provide data about you to us. These applications or websites are created and maintained by a third party which is not a part of or controlled by GamePoint. You should ensure that you read their terms of service and privacy notices to understand how they treat your data and what data they might share with us. 8.2 You understand that where you allow your account with us to interact with any third party social network or platform, we may share data about you with your contacts (and vice versa) so that you may enjoy playing socially. This data includes your name, your social media profile picture (avatar) and your scores and/or progress in our games. 8.3 You can make changes to what data a third party social network or platform shares with us, or stop our Services interacting with that social network or platform by adjusting your settings with that third-party provider, however you may find you are not able to enjoy all the same features of our Services. 8.4 GamePoint allows users, amongst other things, to share game results on third party social network or platforms, which might include your player name, (profile) photos and other content you sent, uploaded or submitted to and/or via GamePoint. 9. How long will we retain your information? 9.1 We will retain your Personal Information for as long as it is necessary to fulfil the purposes for which it was collected or as needed to provide you with Services. We may retain your Personal Information after you have closed any account you have with us or after we have ceased providing Services to you if retention of your Personal Information is reasonably necessary to comply with our legal obligations, meet regulatory requirements, resolve disputes between members, prevent fraud, cheating or abuse, or enforce this Privacy Notice or any other agreement we may have with a user. As soon as your Personal Information is no longer required for the purpose it was collected for or to provide you with access to our services, we will delete your Personal Information from our database. 10. Will we transfer your Personal Information overseas? 10.1 Your Personal Information may be transferred to, and stored at, a destination outside the European Economic Area ("EEA"). It may also be processed by staff operating outside the EEA who work for us or for one of our suppliers. We will take all steps reasonably necessary to ensure that your Personal Information is treated securely and in accordance with this Privacy Notice. 11. How do we protect your Personal Information? 11.1 The security of your Personal Information is important to us. We maintain appropriate technical and physical safeguards to protect your Personal Information against accidental or unlawful destruction or loss, alteration, unauthorized disclosure or access, use and all other unlawful forms of processing of the data in our possession. We use the same level of skill in protecting your Personal Information as other similar games developers. However, since the Internet is not a completely secure environment we cannot guarantee that information you transmit via our Games will not be accessed, disclosed, altered or destroyed by breach of any of our safeguards. 12.1 We may provide links to third party websites from our Services. You understand that when you click on these links any data which you provide thereafter is subject to such a third party’s privacy notice and not to ours. Although we will endeavor only to link to reputable websites, GamePoint takes no responsibility for the content, safety or security of any third-party website. 13.1 You have the right to inspect your information. As such, you can request a copy of the information that we hold regarding you. If you would like a copy of your Personal Information, please contact us through the contact form using your player name – charges up to €22.50 may incur. 13.2 We want to make sure that your Personal Information is accurate and up to date. You can adjust this information yourself by logging in on our website and updating your profile. 13.3 Should the Personal Information requested by you contain factual inaccuracies, which you cannot correct yourself on the website, GamePoint can correct these for you. In this case, the inspection costs will be declared void. 13.4 Information that you have shared via our Services on any social network or third-party platform cannot be adjusted or deleted by us where it is in the control of that social network or third-party platform. In addition, where any third-party copies information which you have made available via the use of our Services (for example, one of your friends on a social network you allow to interact with your account), we may not be able to adjust or delete it because it may not be in our control. 13.5 You have the right to ask us not to use your Personal Information for marketing purposes. To change your marketing preferences, or to unsubscribe, you can change your newsletter settings. 14.1 You understand that in the event of our platform being misused, or if you display undesirable behavior, GamePoint can use your Personal Information to (temporarily) block your access to our platform. 16.1 We hope that you won’t have any complaints about us or our Services. If you are unhappy with our use of your Personal Information then please contact our customer services department by using our contact form. You also have the right to complain to your local data protection authority if there is a problem. 17.1 If any court or other competent authority finds any of the terms of this Privacy Notice to be invalid or unenforceable, the other terms of this Privacy Notice will not be affected. 16.2 This Privacy Notice is governed by and interpreted in accordance with the laws of The Netherlands. Any dispute arising in connection with this Privacy Notice will be subject to the exclusive jurisdiction of the competent court in The Hague, The Netherlands. 17.3 We are constantly innovating and looking for new ways to improve our Services and our games. We may therefore adjust this Privacy Notice from time to time to reflect such improvements or any other changes to our business. We aim to keep you updated about significant changes to this Privacy Notice which we feel may disadvantage you in any material way. If you object to any of the changes you should immediately stop using our Services and close any account you may have with us.